Space Coast Weather Archives | King Rentals, Inc.King Rentals, Inc.
EDIT 12/18/18: The launch was scrubbed and has been rescheduled for shortly after 9:00am on Wednesday, December 19, 2018. Thank Goodness – Hurricane Season is Over! As November comes to a close, the Atlantic Hurricane Season ends on November 30th. Florida’s Space Coast has been very fortunate this year and did not see impacts from any major storms. As we go into our fall and winter weather patterns, now is a great time to work on preventative maintenance to prepare for next season. If you are a property owner and need assistance with maintenance, our full service handyman company, Keenan Services, does it all! Whether you’re vacationing here or a long-time resident, it’s always a good idea to have a plan, and it’s never too early to put yours together. Brevard County’s Emergency Management Office offers a host of information, materials, and resources to get you started, and the ASPCA has tips for pet owners. My News 13 also has a wealth of information both about hurricane season and our year-round weather patterns. Lastly, for the most up-to-date hurricane and tropical forecasts, you can visit NOAA’s National Hurricane Center. As your property manager, we are often some of the last to leave in the event of a significant storm, and some of the first to return after officials give the all clear, working hard to make sure our tenants and properties are prepared and protected to the best of our abilities. We monitor the weather closely throughout the season and at the first indication of a potential impact, we begin to implement our preparedness procedures. For more information, feel free to reach out to us! 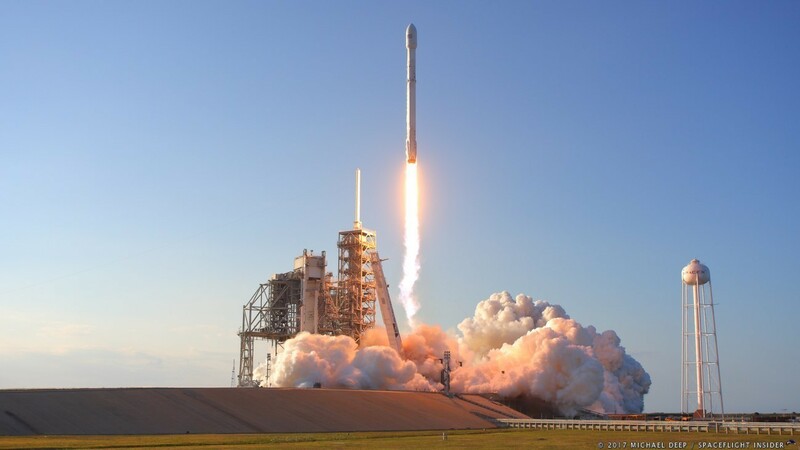 This Thursday, SpaceX’s Falcon 9 rocket will once again launch from Florida’s Space Coast. The rocket launch is scheduled for 3:46pm with a 2-hour window, November 15th from Launch Complex 39A in Cape Canaveral. SpaceX will attempt to land the Falcon 9 rocket’s first stage on the recovery platform drone ship Of Course I Still Love You. Thursday’s launch will deliver Es’Hail 2, a consumer television and radio communications satellite to geostationary orbit.